A native of Accrington, Jack Clough initially worked for Rolls Royce in Derby as a draughtsman. It was here he met his wife Kathleen, whose father, H. E, Ramsden, was the famous Derby restaurateur who undertook the catering at the 1911 investiture of King George V and was previously head chef at the House of Commons. In 1926 Mr Clough left Rolls Royce, whose football and swimming teams he had captained, to help his wife manage the White Horse Hotel in Derby. He remained there until 1933 when he visited Southport to watch the Ryder Cup and stayed at the Bold Hotel. He found it was available for purchase and soon moved in as proprietor. 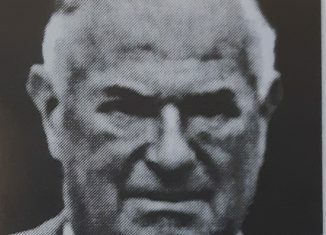 He became closely connected with various activities in the resort but was best known for his work as a director of Southport Football Club between 1945 and 1969, subsequently becoming President. He was on the Council of the Third Division (North) and a member of the Liaison Committee of the Third and Fourth Divisions until 1967, having a four-year spell as its Chairman. His many football contacts ensured that Southport were safely re-elected in 1960 when Gateshead’s application failed. Away from football he was President of the Albatross Swimming Club, had six years on the Southport Town Council and was a Rotarian and former Chairman of the local Licensed Victuallers Association.